Techvana is a culmination of the efforts of a handful of dedicated volunteers who share the same passion for technology, education, history, and gaming. With little to no funding, their team created events that focused on teaching students practical skills such as digital photography and basic robotics, exposing children to the progression of technology through our exhibits, and providing a comfortable space for technology and game enthusiasts through their networking and gaming events. Techvana started out as compromise between Mark’s childhood hobby of collecting vintage technology and Katie’s obsession with finding enough space and a way to keep all of these items in check. Over time, the collection grew larger and their friends began to jokingly nickname it the “museum” because of its sheer size. Katie kept reminding Mark that they would eventually have to find a place (apart from their house) where they could display all of these technology pieces as Mark was clearly never going to part with any of these precious artefacts. The couple began discussing the idea of starting a museum themselves over several years. However, the major push that prodded them to make a definite decision finally happened in 2013 when they were invited to exhibit at Digital Nationz. This crucial event marked the first time Techvana was used to officially name Mark and Katie’s collection. 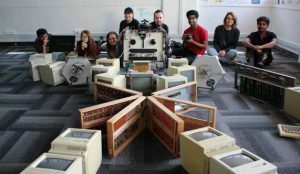 The couple envisioned establishing a space where students, professionals, technology enthusiasts, and Kiwis in general could immerse themselves in the vintage technology and cherish all of the nostalgic memories they had with these pieces, helping them achieve “Technology Nirvana”. The Techvana exhibit proved to be very popular with the attendees as it had the longest lines of any exhibit at the show, even beating the new Sony PS4 and Microsoft Xbox One. Mark and Katie also launched a crowdfunding campaign which was able to raise $1,000 and helped kick things off. These early contributors proved that there was a market for Techvana. The success of Techvana’s debut at Digital Nationz gave it the momentum and exposure that it needed to showcase its technology collection to more events such as Big Boys Toys 2013, AUT’s Pigsty Launch, and Auckland ICT. After much deliberation, Mark and Katie decided to form the Techvana Charitable Trust and Techvana Operations company in June 2014. This was a very crucial step in helping bring their vision into a reality. A launch event was held at Mark and Katie’s home which was well attended by supporters, collectors and friends. A couple of months after launching the charitable trust, Mark and Katie were offered an amazing venue at Cook Street which included 1,100sqm of space. The lease on the space was a significant barrier but an equity crowdfunding campaign was launched to try and raise the $250,000 minimum capital required. Thankfully, the owners of the property generously allowed the couple to operate a ‘proof of concept’ exhibit to allow potential investors to see Mark and Katie’s vision for Techvana. The equity crowdfunding campaign garnered $61,650 in pledges and a significant amount of support. However, this was not enough to meet the minimum capital required to lease the space. Mark and Katie once again needed to pack up the entire collection and store it elsewhere. Luckily, they were offered temporary storage space by Chris Mitchell from Ntec (National Tertiary Education Consortium) based in Federal Street. Initially the collection was moved into a ground floor storage space, but then the senior management of Ntec decided to become the naming sponsor. 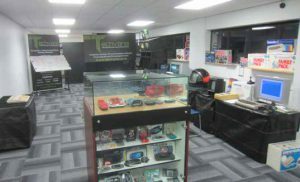 This partnership led Techvana to be renamed as Techvana the Ntec New Zealand Computer Museum. The sponsorship included 430sqm of space in the school as well as the funds required to open the museum. Techvana’s setup at Ntec featured interactive exhibits that showcase vintage pieces of technology ranging from desktop computers, laptops, gaming consoles, and telecommunication devices. In addition, the museum also has a selection of rare and unique pieces that highlight key points in the development of modern technology. 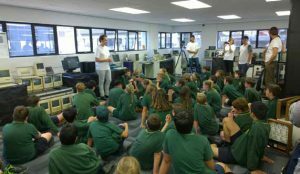 Techvana also regularly hosted technology-themed networking events, workshops, and school visits in partnership with organizations such as Auckland ICT, ICE AV, and the Game Developers Association. 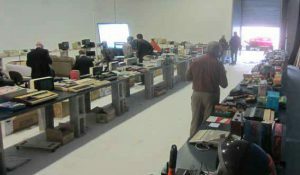 Techvana was designed to help provide visitors an interactive experience with vintage computers, telecommunication devices, and game consoles manufactured from the 1960’s up to present. 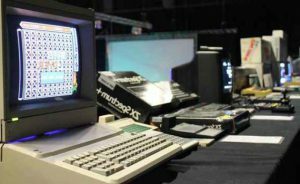 Visitors were also given the chance to personally interact with these vintage computers, making it the perfect opportunity to rekindle nostalgic memories and truly appreciate how far technology as progressed since then. Unfortunately, the Ntec sponsorship came up for renewal in February 2016, and due to their rapid growth, Ntec decided that they couldn’t continue to provide space for Techvana. Hence, the process of packing and finding a new location has begun once again. Techvana’s New Home – Techvana’s team is actively looking for a location that can serve as the museum’s new home. This is currently their most urgent concern and they are definitely keen to talk with anyone who can help with this matter. A space of at least 600 sqm is preferred, but they would still consider all available options. Additional Sponsors – Techvana is also looking to collaborate with more sponsors to help improve the museum’s equipment, exhibits, and In particular, they would like to bring more focus to their gaming events and transform the museum into a full eSports venue where regular competitive events can be held. This is expected to increase visitor numbers and generate sustainable income. Investment and Funding – In their last financial year, Techvana Operations Limited actually made a small profit which would probably make it one of the few museums in the world to do so. However, achieving Techvana’s vision of becoming New Zealand’s premiere destination for technology experiences will require additional funding. If you are interested in investing in Techvana, feel free to contact Mark or Katie in order to peruse the Techvana Operations Business Plan. The Techvana Team would love to hear from you and can be reached through the channels below.